At Rockaway Care Center, we host an annual Father’s Day Social. Our residents are fathers, grandfathers, and even the occasional great-grandfather, and all of us – residents, staff, and family members – enjoy the reason for the season of honoring dads of all ages. In case you’re fretting about that “perfect” gift for dad, you no longer need to feel this way. 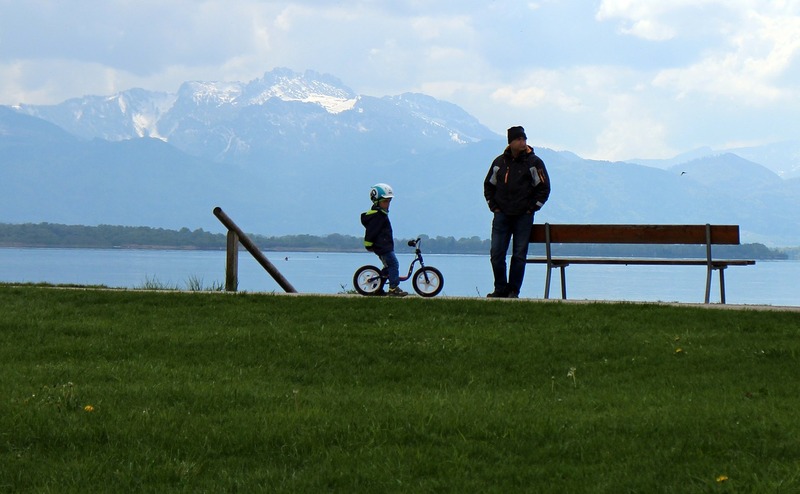 So says a Washington DC-based clinical psychologist, Dr. Alicia Clark, in her article published this week, A Surprising Approach To Father’s Day: What Dads Truly Want. In this piece, Dr. Clark elucidates about the ideal gift for dad: To show gratitude and appreciation. How? To say thank you. That’s it. To just say thank you. To show your thanks for Dad being Dad. No need for the new tie, belt, nor polo shirt. Your words are enough. At the same time, it’s still a good idea to “package” the words in tangible form, for memento’s sake. Here are some ways to make a gift to say thank you to fathers. 1. We’ve said it before, many times, and we’ll say it again: Write it out. Putting pen to paper as a form of expression really hones in on our honest feelings. Can’t be with Dad at Rockaway Care Center? No problem – mail it or email it to him so he can read it on the celebratory day. Or, write it out and call him on Father’s Day, read it to him, and then be sure to mail it, too. 2. Create a skit. Take a few life scenes from memories about when you were thankful for Dad’s influences. Make a short play involving family members, and perform it for Dad on Father’s Day. You can probably do this with as short a skit as 5-10 minutes! 3. Write a poem or song. If letter writing or scripts are not your thing, perhaps it’s easier for you to lyricize. Depending on the type of poetry you go for, it could be a preschool song, or lofty Robert Frost-like composition, or anything in between. You can perform it for Dad, record it via audio or video, or just give it to him written. With Father’s Day coming this Sunday, it’s especially important for both Dad to receive, and his family members to give, love and appreciation on this dedicated day. The above suggestions can assist in this process of giving the gift of word of gratitude to the man who gave, and gives, so much to you and yours. Happy Father’s Day from Rockaway Care Center!